the farm while the German invaders force their neighbours off their land. 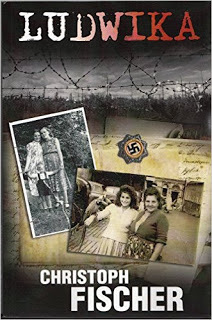 Manfred, a handsome SS German officer, falls in love with Ludwika and the family is allowed the special privilege of remaining in their own home on condition that she accompany him to Germany. She is forced to leave her family behind but she believes her sacrifice will guarantee their safety. Her decision begins her horrific journey of pain and suffering as she lives first hand the humiliation of being a young innocent woman at the mercy of cruel oppressors. Another touching historical drama by an author who writes with the heart. Writer, organic gardener, soapmaker, listener. This entry was posted in Reviews and tagged historical fiction. Bookmark the permalink. I already have this book and am gradually working my way to it through my TBR list. I’ve read so many great reviews of it, including this one of yours, Murielle, I’m going to move it up my list! The author has just won an Indie award for this. He’s a prolific writer and besides his historical novels, he’s written a few contemporary ones too. Yes, I’ve noticed several of his books on Twitter. He’s definitely a versatile author.